Awarded to a graduating Senior who continues to demonstrate the values of the council and the sportsmanship skills gained through participation in the council's programs. 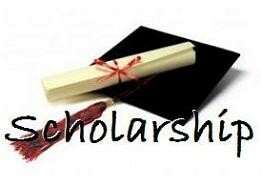 Candidates must apply for the Memorial Scholarship to be considered for the Sportsmanship Award, but may not be awarded both scholarships. 2009 - Harry Wujek Jr. This scholarship is awarded by the ESP Lady Viper Program to a former Lady Viper player and is subject to availability. This scholarship is awarded by the ESP Viper Program to a former Viper player and is subject to availability. This scholarship is awarded by the ESP Lady Warrior Field-Hockey Program to a former Lady Warrior player and is subject to availability.